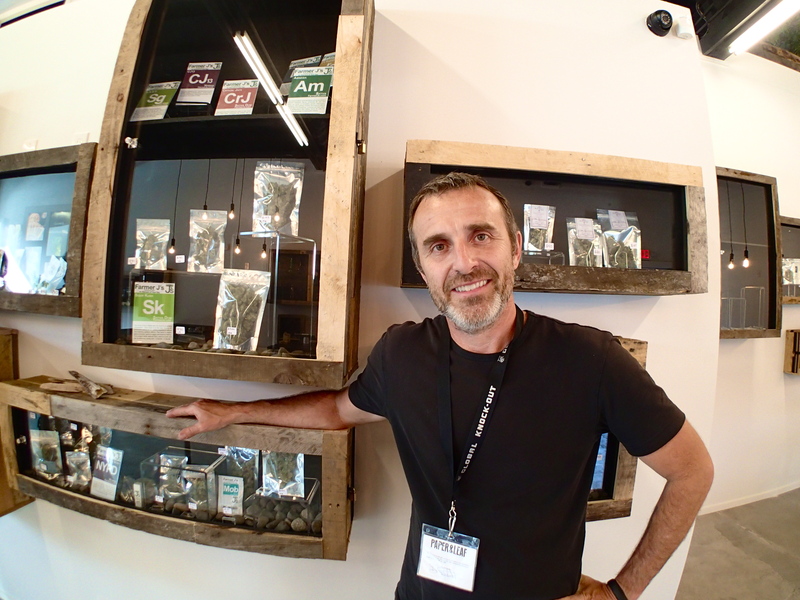 Brendan Hill is in the Washington green scene; only he wants to make your weed buying experience more high class at Paper & Leaf. Cannabis goes good with just about anything, however, pairing the herb with music is by far the best combo. Being that legalization is happening around the globe, their relationship is destined to get stronger. At present, several states have already made it legal to buy and sell, and artists like Snoop Dogg want in. Not only are these musical talents becoming a part of something they love, but also are turning it into profit. In like manner, musician Brendan Hill is in the green scene, only he wants to make your weed buying experience more high class. Best known as the drummer for the band Blues Traveler, Brendan Hill has been a longtime cannabis aficionado, and even claims it’s helped him have success in his career. Being that he’s a part of the Grammy-winning band, Hill says he’s been smoking marijuana for quite some time. In fact, he claims it makes him and others better at their jobs. Furthermore, Hill says that adding weed helps form a connection between the players, which is crucial when playing live. When you’re playing live and being creative on a daily basis, I think cannabis helps you get to that flow moment without much effort. Presently, cannabis is legal is to buy and sell in Washington state, where Hill lives. Therefore, Hill is doing his part to help people learn more about the plant and buy it in a more high-class way. 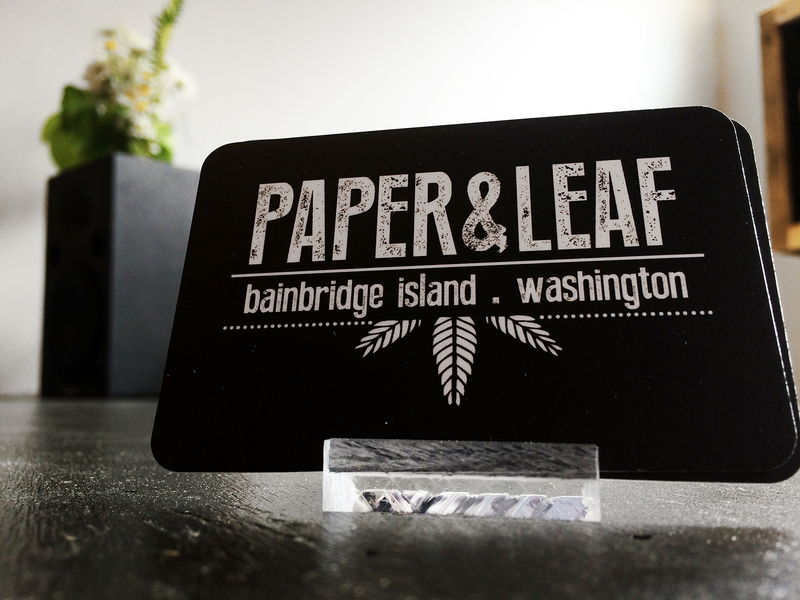 Presently, he runs Paper & Leaf, Bainbridge Island’s first and only premier recreational cannabis boutique. Though it may sound strange to put a cannabis shop on a small island right outside of Seattle. Apparently, the location couldn’t be more perfect. As a matter of fact, the majority of the population happens to be in favor of the herb. According to Hill, more than 70% of the residents of Bainbridge Island voted to legalize marijuana, which is the highest in history. Indeed, this is a good indication that the business will thrive. However, opening the store still needs to be handled with care. We knew from our research that we had a very open-minded community, but there was still this not-in-my-backyard mentality in the town. We realized that if we did the store in the style of the island – it’s a very arty community – that we could win over the community. As a matter of fact, that’s what they did. Paper & Leaf isn’t your typical pot shop; it’s more like an art gallery. The product is indeed on the walls and is surrounded by a beautiful wooden frame. Not only do people get to see what they may buy, but they can learn about what’s before them. Being that the store is upscale, the marijuana has to be just as fabulous. Currently, there are over 35 different strains available at Paper & Leaf, which all come from local growers. Each strain is unique and has its own smell, taste, and effects. For this reason, the staff is equipped with knowledge about each and ready to inform customers that may not know as much. Despite the classy shop being only a year old, Hill says the town’s people, as well as businesses, have grown to accept and welcome Paper & Leaf as a part of the community. What’s cool about this joint is that the shop provides a shuttle bus to transport those that can’t make it on their own. Even local restaurants and wineries want to join Hill and his staff. Not only could customers enjoy upscale bud, but also some Merlot or Pinot Grigio, followed by a nice dinner. Considering the number of people that are traveling to the island just to visit Hill’s shop, the business is seeing a substantial amount of growth. With that said, we cannot wait to see what the future has in store for Paper & Leaf. What do you think of Paper & Leaf? What are some things you like to see in a pot shop? Share with us on Facebook, Twitter, or in the comments below. We would love to hear from you.